Introduction• Results• Discussion• Methods• References• Acknowledgements• Author information• Supplementary information Diseases, ideas, innovations, and behaviors spread through social networks1, 2, 3, 4, 5, 6, 7, 8, 9, 10, 11, 12. With the availability of large-scale, digitized data on social communication13, 14, the study of diffusion of memes (units of transmissible information) has become feasible recently15, 16, 17, 18. 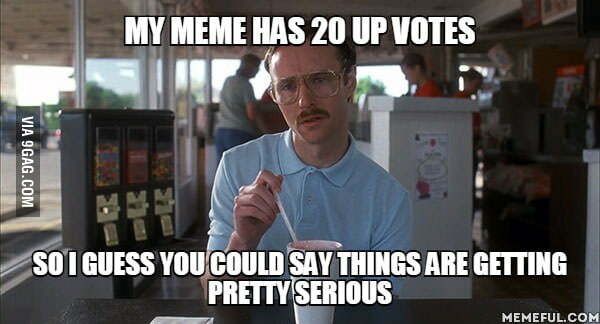 The questions of how memes spread and which will go viral have recently attracted much attention across disciplines, including marketing6, 19, network science20, 21, communication, and social media analytics23, 24, 25. Network structure can greatly affect the spreading process15, 26, 27; for example, infections with small spreading rate persist in scale-free networks. Existing research has attempted to characterize viral memes in terms of message content, temporal variation16, 24, influential users19, 28, finite user attention18, 21, and local neighborhood structure. Yet, what determines the success of a meme and how a meme interacts with the underlying network structure is still elusive. A simple, popular approach in studying meme diffusion is to consider memes as diseases and apply epidemic models3, 4. However, recent studies demonstrate that diseases and behaviors spread differently; they have therefore been referred to as simple versus complex contagions, respectively9, 29. Here we propose that network communities30, 31, 32—strongly clustered groups of people—provide a unique vantage point to the challenge of predicting viral memes. We show that (i) communities allow us to estimate how much the spreading pattern of a meme deviates from that of infectious diseases; (ii) viral memes tend to spread like epidemics; and finally (iii) we can predict the virality of memes based on early spreading patterns in terms of community structure. We employ the popularity of a meme as an indicator of its virality; viral memes appear in a large number of messages and are adopted by many people. Community structure has been shown to affect information diffusion, including global cascades33, 34, the speed of propagation, and the activity of individuals36, 37. One straight-forward effect is that communities are thought to be able to cripple the global spread because they act as traps for random flows35, 36 (Fig. 1(A)). Yet, the causes and consequences of the trapping effect have not been fully understood, particularly when structural trapping is combined with two important phenomena: social reinforcement and homophily. Complex contagions are sensitive to social reinforcement: each additional exposure significantly increases the chance of adoption. Although the notion is not new, it was only recently confirmed in a controlled experiment. A few concentrated adoptions inside highly clustered communities can induce many multiple exposures (Fig. 1(B)). The adoption of memes within communities may also be affected by homophily, according to which social relationships are more likely to form between similar people39, 40. Communities capture homophily as people sharing similar characteristics naturally establish more edges among them. Thus we expect similar tastes among community members, making people more susceptible to memes from peers in the same community (Fig. 1(C)). Straightforward examples of homophilous communities are those formed around language or culture (Fig. 1(D,E)); people are much more likely to propagate messages written in their mother tongue. Separating social contagion and homophily is difficult41, 42, and we interpret complex contagion broadly to include homophily; we focus on how both social reinforcement and homophily effects collectively boost the trapping of memes within dense communities, not on the distinctions between them. Figure 1: The importance of community structure in the spreading of social contagions. The importance of community structure in the spreading of social contagions. (A) Structural trapping: dense communities with few outgoing links naturally trap information flow. (B) Social reinforcement: people who have adopted a meme (black nodes) trigger multiple exposures to others (red nodes). In the presence of high clustering, any additional adoption is likely to produce more multiple exposures than in the case of low clustering, inducing cascades of additional adoptions. (C) Homophily: people in the same community (same color nodes) are more likely to be similar and to adopt the same ideas. (D) Diffusion structure based on retweets among Twitter users sharing the hashtag #USA. Blue nodes represent English users and red nodes are Arabic users. Node size and link weight are proportional to retweet activity. (E) Community structure among Twitter users sharing the hashtags #BBC and #FoxNews. Blue nodes represent #BBC users, red nodes are #FoxNews users, and users who have used both hashtags are green. Node size is proportional to usage (tweet) activity, links represent mutual following relations. Full size image (270 KB) Figures/tables index Next To examine and quantify the spreading patterns of memes, we analyze a dataset collected from Twitter, a micro-blogging platform that allows millions of people to broadcast short messages (‘tweets’). People can ‘follow’ others to receive their messages, forward (‘retweet’ or “RT” in short) tweets to their own followers, or mention (‘@’ in short) others in tweets. People often label tweets with topical keywords (‘hashtags’). We consider each hashtag as a meme. Page 2 of 2 How does network structure affect diffusion? Recent studies suggest that the answer depends on the type of contagion. Complex contagions, unlike infectious diseases (simple contagions), are affected by social reinforcement and homophily. Hence, the spread within highly clustered communities is enhanced, while diffusion across communities is hampered. A common hypothesis is that memes and behaviors are complex contagions. We show that, while most memes indeed spread like complex contagions, a few viral memes spread across many communities, like diseases. We demonstrate that the future popularity of a meme can be predicted by quantifying its early spreading pattern in terms of community concentration. The more communities a meme permeates, the more viral it is. We present a practical method to translate data about community structure into predictive knowledge about what information will spread widely. This connection contributes to our understanding in computational social science, social media analytics, and marketing applications. I forgot that smaller is better with laptops for a reason, they can actually be held in your LAP. I was using the desktop computer, and I was using the larger mac laptop that Dad had because I had added the amaing Comfort keyboard to it... but this computer you just feel like actually having IN YOUR LAP which is just way more comfortable. Also the new living room couch is comfortable and dad is a pleasant wrok companion and mom is enjoying the indian records, as am I. This is going to be a lot of FUN. Get 1000 designs up and the mementum will build from there. How can I bring Unamerican back with POD services today? No desire to have this laptop anywhere but on my actual lap because it's really small. This is going to be a lot of fun because if it's on my lap I can see the screen without squinting and I have my special trackball wireless mouse set up and the battery is charged. Mementum – a smart and handy voice reminder. It gives an opportunity to sort your recordings by categories and write additional text notes if neccessary. Smart interface – All elements are strictly on their places just to make the app usage simple and enjoyable. Voice or any other sounds could be recorded via mic as a new Mementum reminder, just click Rec button. Global hotkey – To make new record you are just to use Cmd+Shift+M and Mementum will immediately start recording, next Cmd+Shift+M will save the item and remind you in 15 minutes by default. You can also change time period while making the reminder. Preset time buttons – We added 4 most using time periods to use them as the default ones and a knob to set accurate time using mouse or even gesturing. To set your own calendar time periods you are provided with the customization options. Incredible handy item list – You can use Mementum as a storage for all your reminders until you decide to erase them or to use once more. Each needed item could be found easily. Categories - The whole recording list could be sorted by categories. We propose to use seven colored categories for all of life’s emergencies and smart filters to find quickly everything the you need, whether it is overdue reminder or just a text note. Text notes – While pronouncing you can also write a few words about your new record or even paste information content to mark the reminder. Three operation modes – each time other than the standart mode you can use two more - only an alarm sound to invite your attention or just a notification window without any sounds. Do you now want to have more FUN in life? For me, simply looking at the three-letter word FUN in print makes me want to have some FUN right now. It’s as if the word itself has an emotional impact. Since I believe FUN is a FUNction (get it?) of a relationship between two or more people, FUN cannot exist in a vacuum. So there you are. And here I am. Let’s have some FUN, ok? When we write about what we need, we get closer to attaining it. Therefore, I need to have more FUN myself and that means I’m going to summon the FUN to enter my life by writing a book about it. So what exactly do I mean by “FUN”? I’d like to posit that FUN is like “x” in mathematics. FUN is undefined and each of us fills that word in with a potent cocktail of meaning, emotion and memory. We all have FUN in our own ways and experience FUN from unique points of view. We are drawn to what we feel would be FUN as moths to a flame. We can choose how we use that attraction. Wouldn’t it be FUN to read a book about how to have more FUN in life? I think it’ll be FUN to write it. Because each of us define the word FUN however we please and that definition can shift over time along the lines of our personal attention, it’s useful to consider that the concept of FUN is an “empty container” into which we can place just about anything we choose. FUN is a DEPENDENT VARIABLE, dependent on certain fixed facts about your situation: who you are, how you feel, what you see, what you want to do, etc. These fixed facts are the cards you’re dealt; how you HANDLE them is up to YOU. When you sense that you can have FUN with the situation, your attitude and actions shift to make it happen. It isn’t work anymore if you can find a way to make it FUN. FUN makes any activity worth doing and FUN is in the eye of the beholder so therefore if you can behold a task as FUN, you can get through it a lot faster, right? Just whistle while you work. Is that all there is to it? Perhaps and that’s the brilliant insight I had last week when planning this book. Just because a given statement is “obvious” doesn’t mean that it should never be explicitly stated. It seems a tautology to state that “ALL HUMANS LIKE HAVING FUN SO ASK THEM AND THEY WILL WANT TO HAVE MORE FUN WITH YOU, OK?” yet it seems to me lamentable that I’ve never seen those words written in print before. I wish someone had bothered to tell me that. Universal truths demand MORE explanation and exhortation, not less. Obvious truths are only obvious after they’re understood. Given that FUN is FRACTAL, I always like to take anything I find FUN in doing and break it into little pieces because that lets me figure out what parts of the total activity could become entire universes of FUN in their own right. It’s always FUN to take a set of activities that I’ve had FUN with in the past, with different people, and try them again in the here and now. I call these sets of activities “PRINCIPLES”. Basically, I believe there are PRINCIPLES to FUN and I write this book to share those I’ve discovered with you, hoping you’ll find them useful for unleashing the latent talent for FUN you know you now sense deep within yourself. The more you think about FUN as a set of principles, the easier you will find it to unleash the latent FUN in even the most seemingly stressful situations. After all, principles can be used and re-used because they’re universal. Maybe we should challenge the stress of this world with a refreshing attitude that just about anything can be made more FUN than it currently is. Perhaps FUN is a sense that things are improving, that things are somehow getting better all the time. Applying a principle should be as easy as putting on a pair of glasses and looking again at what we’d like to perceive more clearly. FUN works like that. Wouldn’t it be FUN to finish this book tonight? Because you’ve only got one life to live it’s critical that you read these words in the spirit of self. That’s right, I’m asking you to dare to be SELF-ish while you read this book, because as it turns out, we can only have FUN for ourselves, and we can only have FUN if others are having FUN with us. By egging you on to have more FUN, maybe you will start creating FUN for your friends, too. You see, one of my core principles is that ALL FUN IS SOCIAL. Is it “stupid” for me to write a book on such an “inane” topic as “FUN”? If you think so, welcome to the club. It’s FUN to be seen as stupid by folks who don’t quite want to take the time to understand what I’m doing. With respect to intelligence, maybe I’ve learned that what makes writing intelligent is often what it makes you FEEL, rather than just what it attempts to convey to you. Folks write for a wide variety of reasons. Personally, I write for FUN, and that’s why this is the best subject for me. Does that make me “stupid” and “inane”? Perhaps. In my opinion it makes me the author that has his eyes on the prize of what’s really important in life after all is said and done. Anyone who sees that FUN is the missing ingredient that makes things go faster and smoother can see that a book that gets them thinking about how to add more FUN to their lives can be worth the time and effort to read several times through. It’s my hope to do more for you than write a book of escapist entertainment. With me, you can feel guided deep into your own life, into your SOUL. I’d like to think that your soul is a mirror image of you that you can move like a cursor into different realities, some of which you can make moves to make real in your real life. The Hindus have a concept of a “third eye” that sits between your two physical eyes on your forehead. All you’ve got to do is close your two physical eyes and feel that third eye spring open to sense with it. What can you possibly sense with your eyes closed? Clearly, you are sensing the MOMENT. You are sensing TIME, a fourth dimension, as it slips by carefully. Perhaps you can sense backwards in time, as well, with your eyes closed... remembering a way you like to have FUN but haven’t in a long while, for instance. Perhaps you can sense into the FUTURE, forwards in time, if you think about it a bit. Anything that goes backwards may go forwards too, right? As we enter the realm of the IMAGINATION. Why do we call it VISION when a leader decides to inspire people? Where do we SEE what other people mean, if not with our eyes closed... if not with our THIRD EYE? If we accept that there is such a thing... a third eye that looks into things without needing to see them.... we can swiftly “see” that our entire idea of what is real and what is imaginary splits easily into “eyes open” and “eyes closed”. And who is to say which one is better, or more permanent? We live in a world of constant change, and perhaps it is only what is seen with our “third eye” which is real and permanent. After all, when you want something, you never quite stop wanting it unless you come to want something more. That which we want is that which fills our third eye. Here, with this book, I’m giving you a fresh idea about what to aim for in life... what to WANT. I think I want more FUN. Yeah, that’s it.